This was a special weekend because my BFF Beth came to visit and brought her family too! That includes son Owen, husband Dan and doggie Shiela. Beth and I treked over to Virginia Beach on Saturday to check out the Big Flea. It was underwhelming to say the least but Beth found a few treasures. I found a bit of vintage jewelry. 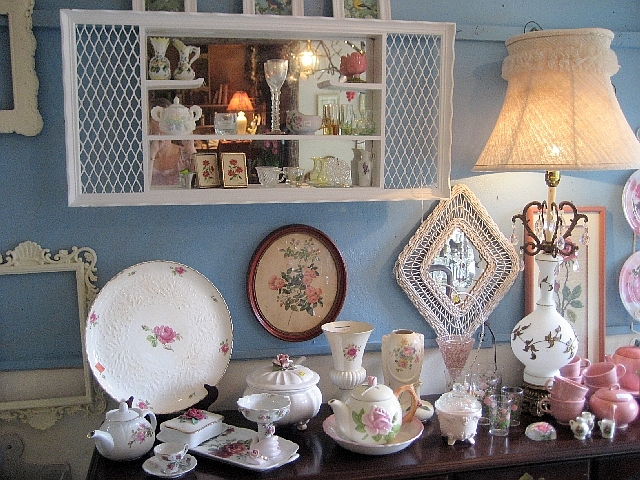 I am already collecting it again and plan to make another mirror, perhaps to sell in my shop. Friday night I made crab cakes for everyone. It wouldn’t be a trip to Hampton with out some crab cakes from our local crabs. 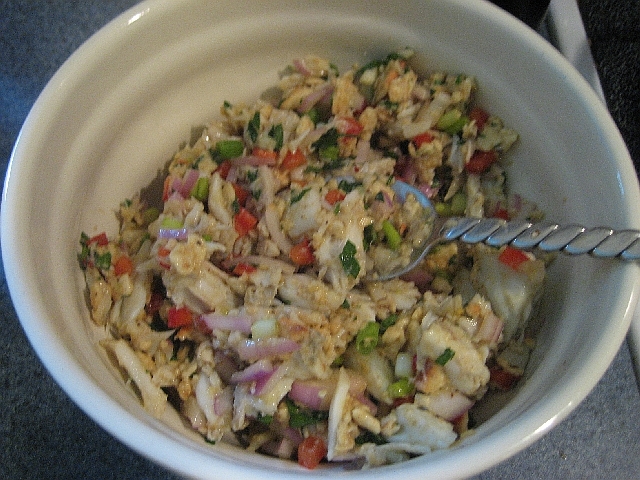 Here is the mix, lots of lump crab meat and just a touch of binder, with fresh herbs and Old Bay seasoning. 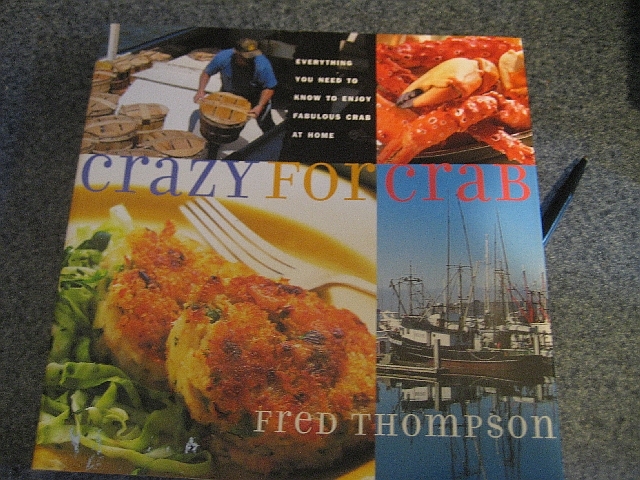 The recipe comes from my favorite crab cookbook. After Beth and I blew through the Big Flea we headed back to the peninsula so that I could take Beth to one of my favorite shops in Newport News. 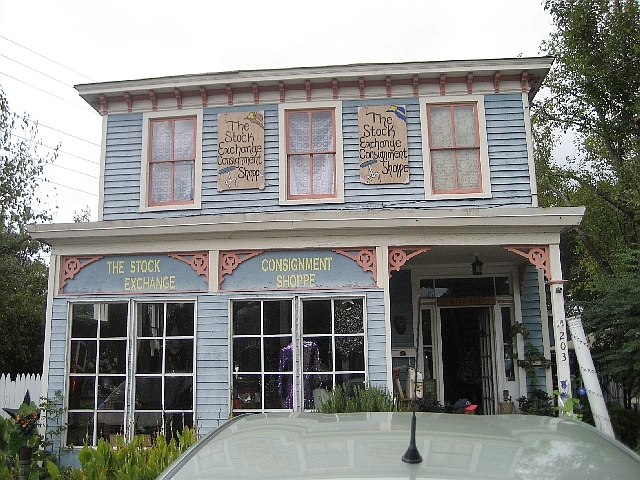 It is called the Stock Exchange and it is part consignment and part flea market. Really, really cool stuff. When we stopped by, the owners son was there putting up some of his new pieces, he makes amazing birdhouses and folk art. They were kind enough to allow me to snap a few pictures. 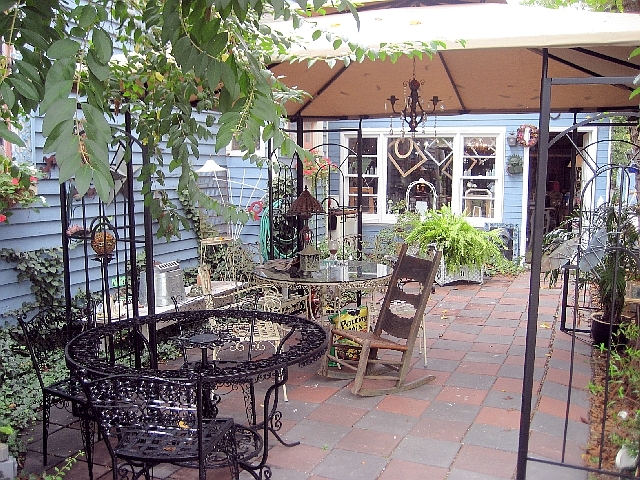 The store is in an old house and they have the most amazing patio garden. 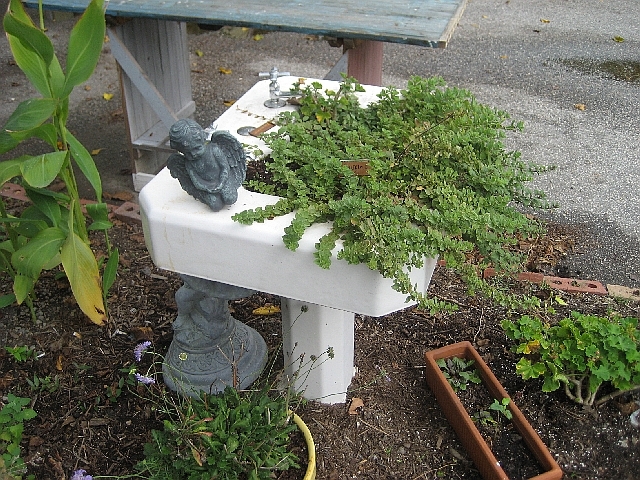 Every time I stop by the garden keeps expanding and it is so fun and whimsical. Inside there are all kinds of treasures to be found. Beth and I had a lovely visit and it was so good to hook up again with our special friends. Looks like you had a great visit with your friend and Oh my the thought of crabcakes is making my mouth water! I am from Florida but have lived in AZ for 8 years and dont get to have them that often. Great photos! 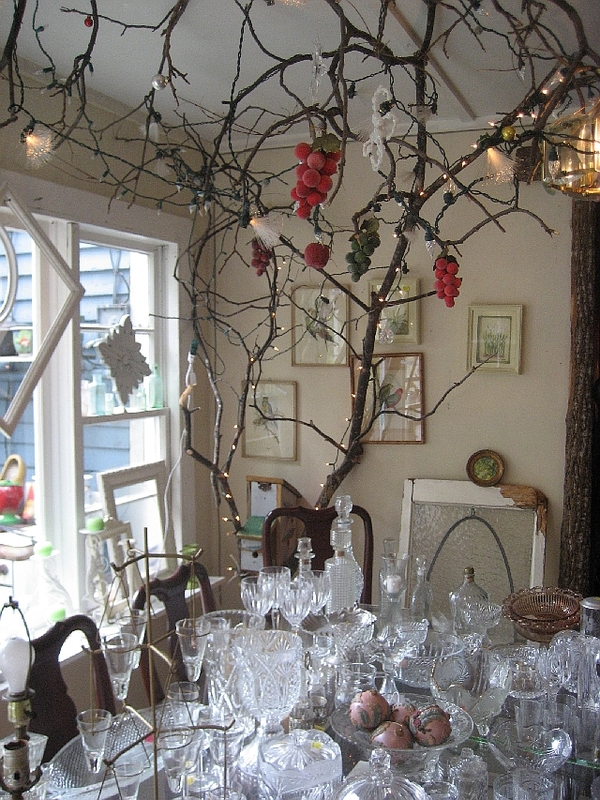 I esp like the glassware and branch photo! Man, I’m sorry to hear about the Big Flea but looks like the Stock Exchange might have made up for it. Have a great week! What a fun place to shop! It would have been tough to pull me out of there! This looks like my kinda place. Thanks for sharing the great photos. I just discovered your blog and was enjoying reading it so I thought I’d start reading it from the beginning and boy was I surprised to see the Stock Exchange. I live about 1/4 mile from this shop.